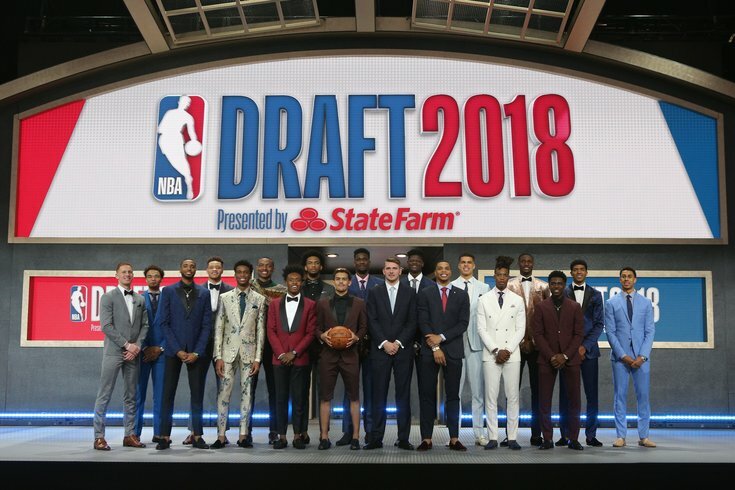 NBA draft prospects pose for a group photo before the first round of the 2018 NBA Draft at the Barclays Center. The 76ers appeared to be staying local with the tenth overall pick Thursday, selecting Mikal Bridges from Villanova. But about an hour later the team made a splash, swapping the rights for Bridges for Zhaire Smith from Texas Tech. The 16th pick will come along with a 2021 first round pick, a pick initially belonging to the Miami heat. With their second first-round pick, the Sixers selected Wichita State guard Landry Shamet at 26 overall.